Founded in 1994, the Central Coast Youth Chorus (formerly the Central Coast Children’s Choir) provides children in San Luis Obispo County with the extraordinary opportunity of experiencing the joy of singing in live choral performances while receiving a high-quality music education. Comprised of nearly 80 boys and girls from 7 to 19 years of age from all around San Luis Obispo County, Central Coast Youth Chorus singers are divided into six choruses: Brio, Cadence, Cadenza, Young Men's Ensemble, Vivace and Advanced Vocal Ensemble. Each chorus works with a professional director, all under the co-artistic direction of Melody Svennungsen and JoAnne Stoddard. New singers are welcomed in September and January. No prior singing experience is required to join the Brio or Cadence choruses, and no audition is necessary. Auditions for upper level choristers are held in a friendly, supportive environment. Weekly rehearsals are scheduled during after-school hours, and include musicianship training (sight-singing, ear training, note and rhythm reading, music theory and history) plus vocal coaching to assist in developing healthy singing habits. Repertoire is selected to fit the skill level of each choir. Selections include established classical works, folk songs from around the world, as well as more contemporary styles and are always chosen with the goal of suiting children's voices. Choristers grow in self-discipline and confidence as they meet new musical challenges and achieve artistic excellence under the direction of dedicated music professionals. A highly-respected and valuable asset in SLO County, the Central Coast Youth Chorus has sung with premier performing groups in the community, including the San Luis Obispo Vocal Arts Ensemble, Cuesta Master Chorale, SLO Symphony, Opera SLO, and the Mozart Festival. 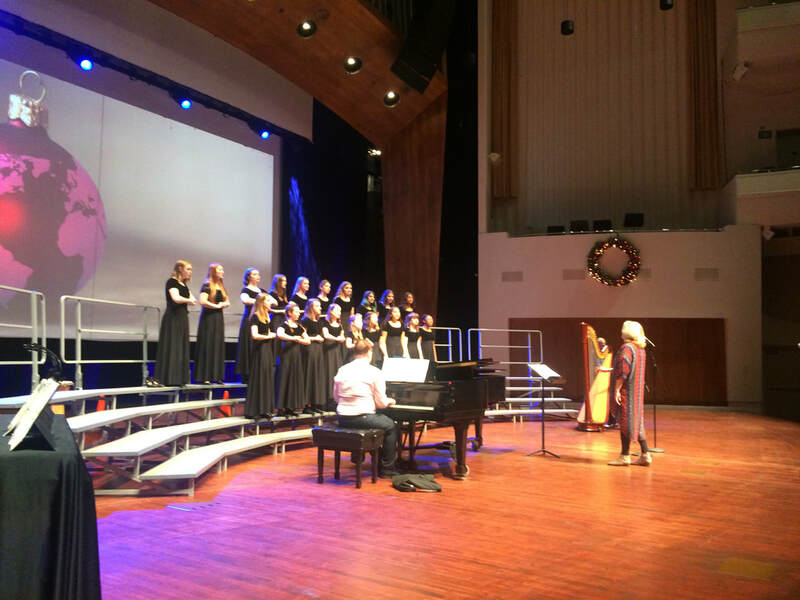 As part of its support of other local non-profit organizations, the choir has performed at benefits for the SLO Children’s Museum, Hospice, and C.A.S.A. Over the years, CCYC singers have been chosen to represent California in National and Western State honor choirs in Las Vegas, New York, Honolulu, Chicago and Florida.